Just submit a photo by email of the home to Gift of Portraits , for me to use as the basis of your real estate closing gift or other gift. By manipulating and combining several sophisticated computer modeling programs a rough draft of the portrait is done. The portrait is then finished by hand in order to render the home photo into a realistic pencil sketch, color pencil drawing or watercolor. This allows the creation of an affordable portrait of a home to be used as a unique personalized real estate closing gift. The house portrait will than be printed using the latest high quality printer on white acid free art paper specifically designed for art reproduction and matted with a white core bevel cut black mat for an unforgettable property portrait real estate closing gift for your life long client. A unique property portrait real estate closing gift starting at $45 will help your clients remember you for the next time they or one of their family or friends needs your real estate services. 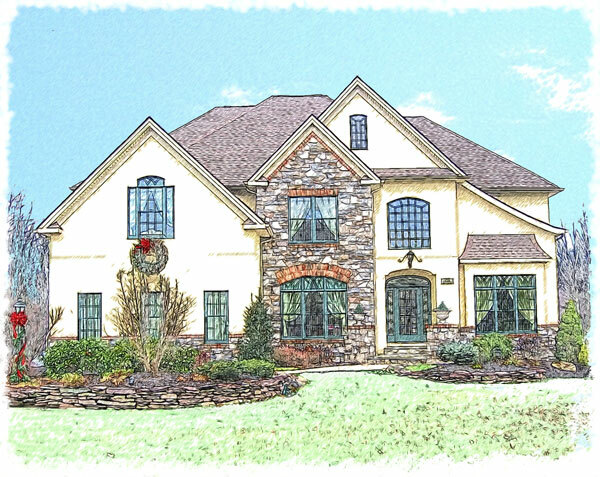 Let them be stunned by the luxurious house warming gift of their new home represented in a classical artistic sketch. What better way to say thank-you than with a real estate closing gift of a home portrait. Helping a family or individual buy a house is a deeply rewarding experience. After the sale, though, what can you do to help commemorate the experience? As a real estate professional, you'd like your clients to remember the satisfaction of signing the closing papers and taking possession of their home. You'd also like them to remeber you, and pass your name along to other perspective clients, or come back to you if the time comes for them to relocate again. The real estate market is highly competitve, and becomes more so every passing year. By adding the perk of a unique real estate closing gift, you can bring customers back to your door and gain referrals from happy homeowners whose houses you've helped them find and purchase. 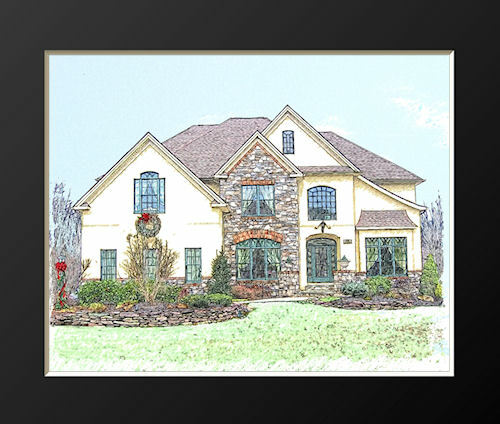 One memorable gift for you to consider for your real estate clients is a customized pencil portrait of their new home. A high quality, framed pencil drawing of the home they will be enjoying for years to come will remind them every day of your assistance and contribution.